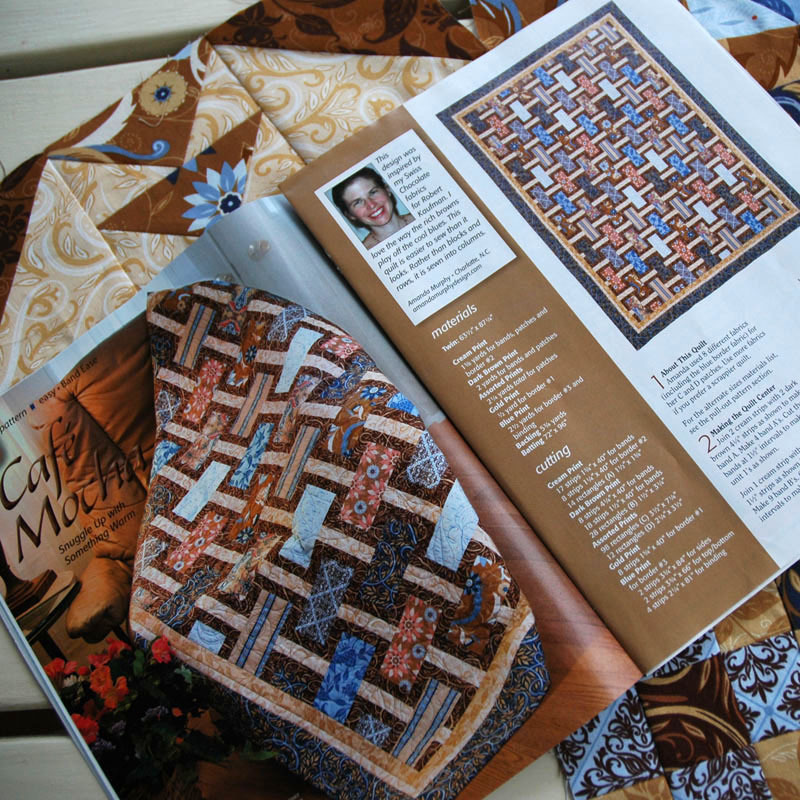 Amanda Murphy Design: Quiltmaker's (and my) Cafe Mocha! I've had lots of emails this morning about a quilt that I designed on page 30 of Quiltmaker's March/April Issue. If you would rather do the quilt in the chocolate (red) color story, change any replace the last three digits of any SKU that ends in "227" with "167". Thanks for the kind comments and I hope that helps. That is a really cool quilt. I'll have to go get that magazine. 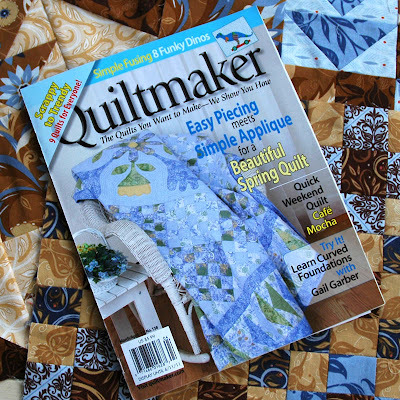 I also really like the one you did in the new American Patchwork & Quilting magazine issue. Great quilt Amanda. I love that Swiss Chocolate and I love how this quilt shows off the fabric. Thanks for the yardage info I may have to make one in each.